I’ve always enjoyed traveling, says Jan Claudius, construction engineer and project manager. 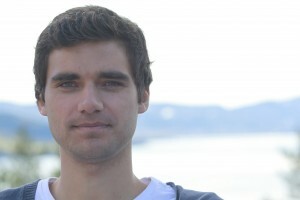 After a week of training in interpersonal communication at the Halvorsbøle retreat center, he sees connections between the social journey of the course, his recent trip to the Americas and the practice of long meditations. A first timer at the communication course, Jan found the groups to be a very good framework for building better self-esteem, particularly in situations where he needs to address a number of people at the same time. Less tongue-tied when talking in a group now than before the course, Jan says that more of his inhibitions have loosened. And with a larger inner space for maneuvering comes increased insight into how people think, as well as the knowledge that there is a lot behind every façade. Sometimes he also feels he better understands the emotions that hide beneath particular ways of behaving. 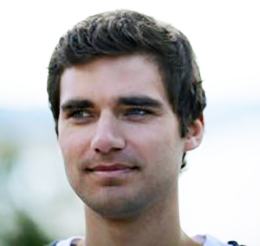 Jan’s journey with Acem Meditation started during his studies at the Norwegian University of Science and Technology some six years ago. 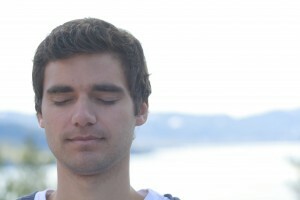 Since then he has been meditating regularly, and has attended a number of deepening retreats. “I work long days and I’m a multi-tasker. Others have remarked that my ability to get things done has increased over time. Much of this can be attributed to meditation. Deepening retreats provide a basic relaxation and have removed a lot of stuff that used to lie underneath the surface and create a lot of stress. I don’t take things so seriously now, and I tackle stress a lot better after I started using meditation actively – a big difference from how it was before. Jan has a passion for science and technology, and enjoys creating things. He finds it rewarding to see his designs being built, and to have a decisive influence on how things will look in the end. It’s quite a bit of responsibility. He feels appreciated in what he does, and his job gives him plenty of opportunity to grow and develop. At the moment, he’s involved in a big infrastructure project in Lierbyen near Oslo. It’s in the building phase, and Jan gets to see the plans being put into action. The infrastructure is growing, there is a new community center and environmental streets, the whole city is being upgraded. Last spring, Jan went on a two-month trip to the USA, the Caribbean and South America immediately after a deepening retreat. He visited Peru and Bolivia, the Cayman Islands, Miami and other parts of Florida. Jan is fond of nature. 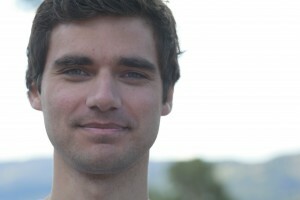 He enjoys mountain biking and cross-country skiing. He has traveled a lot, and is particularly fond of South America, where he first went to pay a visit to his sister, who was working in a Bolivian orphanage at the time. This time, he took two friends along, in order to show them a bit of the wide range of culture and nature that the continent offers. His trip to South America came straight after a period of intensive meditation. He found himself a bit more worried than usual – a bit more anxious that things might go wrong. Some people might see that as an adequate reaction. “The day we descended Death Road, I meditated afterward. I was closer to my own anxiety this time,” says Jan.
“I’ve traveled a lot before, but never felt this kind of anxiety. It makes me appreciate my normal life more – the security of it. I pay more heed to what is important to me. Taking care of your health, friends, family. Somehow, being more worried felt like a good thing.